As an accomplished engineering company that possesses a wide variety of technical expertise in the design and structural engineering field, HCSE can also provide detailed analysis and design of retaining walls for residential and commercial purposes. At HC Structural Engineering, our expert staff continuously learn and adapt to better methods for the design and engineering of retaining walls. 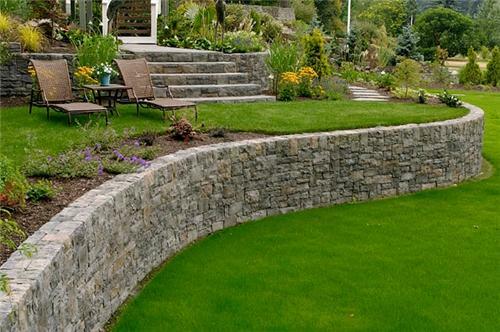 Retaining walls are essential structures designed to restrain massive amounts of soil that will otherwise slide away from foundations or cause damages to their surroundings. We aim to provide our clients the most aesthetically pleasing, structurally sound, and economically feasible structure given any criteria and location. Whether it be a new retaining wall or a damaged one, HCSE is fully capable of providing the meticulous calculations along with clear and concise construction documents to address each issue. We aim to provide our clients the most aesthetically pleasing, structurally sound, and economically feasible structure given any criteria.